Couldn’t Christmas be stranger? Join London Fortean Society for an afternoon of talks, book sales, stalls, pizza and beer to mark the darkening days before Christmas. Dr David Clarke from Sheffield Hallam University’s Centre for Contemporary Legend will talk about his book UFO Drawings at The National Archives. He will look at the myriad ways in which people have depicted strange phenomena in the sky, from the earliest times to the drawings, paintings and other artwork that was submitted to the former Ministry of Defence UFO desk that closed in 2009. An international success, Unexplained has been #2 in the US, UK and Canadian iTunes chart. Unexplained is The Examined Life meets The X Files. He has a new book out on 25th October. Dr. Susan Owens – The Appearance of Ghosts: shrouds, sheets or see-through? The idea that the dead can return to haunt the living is deeply rooted in the British imagination, and ghosts are central to countless plays and paintings, stories and ballads, photographs and films. 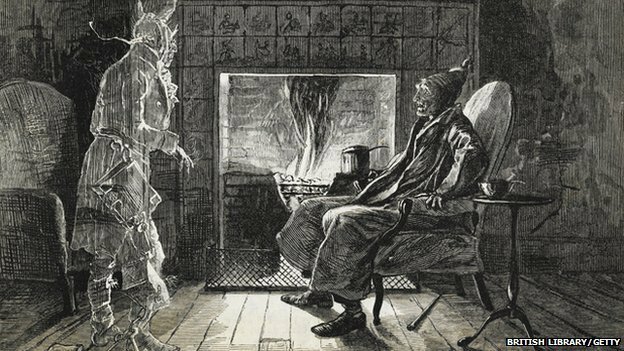 But why has the appearance and behaviour of ghosts in art and literature altered over time? When did they stop wearing shrouds and put on white sheets or become see-through? And what do these changes reveal about them – and us? Dr. Susan Owens, former Curator of Paintings at the Victoria and Albert Museum, is the author of The Ghost: A Cultural History (Tate Publishing, 2017). John Cussans, author of ‘Undead Uprising: Haiti, Horror and the Zombie Complex’ examines the story of Papa Doc, François Duvalier: President of Haiti from 1957 to 1971, emulated the Vodou loa of the dead Baron Samedi, a tale first promoted by Graham Greene that finds an uncanny precedent in Ian Flemming’s 1954 novel Live and Let Die.